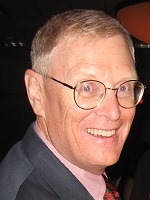 David Tilney began investing in real estate in 1978. He began managing properties when he couldn’t find a competent company to manage his own rental portfolio. Over the years, David has invested in rentals, notes, foreclosures, tax sales, IRS liens and leasehold interests. David has become the “go to” guy for management of single-family homes and loves being a landlord. He looks forward to hearing from his tenants, but often feels like the repairman in the old Maytag appliance commercial who rarely gets a call. David and Mary, his wife of 43 years, reside in Naples FL and spend summers in Colorado Springs. They manage their portfolio of rental houses from wherever they are without employees. Their three daughters and their husbands (who have blessed them with 8 grandchildren) have also invested in rental property. David believes that owning rentals is not a get rich quick scheme, but an investment that can sustain you when you choose to retire or can no longer work and continue to provide for your heirs when you have passed on.